I taught a Axxium Soak-Off Gel Course at OPI education centre some time ago and found that some of the nail technicians still couldn’t grasp the technique of using Axxium Soak-Off Gel Lacquer, particularly on applying and soaking off the lacquer. I highlighted these 4 basic steps for hopefully will help you getting a better picture on how to do it step-by-step correctly. With Edge 180. File nail edge. With Flex 180. Polish nail surface; clean up. Apply a second layer of Axxium Soak Off Gel Lacquer. OPI Soak-Off Gel Lacquer is quite different from the traditional Gel, especially the force of applying the gel and controlling the thickness. If you are very familiar with using the traditional Gel then you may take a bit more time to understand the removal technique of this new product. Hopefully I would have time to go through with more details of the Axxium Soak-Off Gel Lacquer, or please feel free to leave a message if you have any questions. 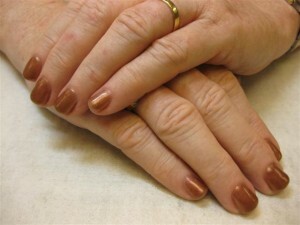 hello, I have been using the shellac cnd product and i love the way it shines. Unfortunately they do not have many choices for colours so we introduced the axxium soak off gel in our salon for more choices. I loved it the first time with bubble bath! But when we did the you dont know jaques and lincoln park after dark, we found it to be very dull. Another incident that happened was sometimes the french seems to be a bit tacky. The nails seem to cured for 5 mins and the light seems to be strong too. What could it be? Could it be the blue bottle topcaot sealer? sometimes there is just a bit of colour residue when wiping. our problem is dullness mostly. Thanks for your enquiry ! We don’t have the shining problem that you have mentioned . 1) The top sealer need a thick coat with 3 mins uv is enough . 2) Suggest you change another uv light to see . 3) Sometimes clients put thier hand not in good position under the uv light , so it affects the outcome . Hope it can help you ! Hi just a question can you use the axium soak off gel over the opi gel polish ?? As an extra strengthener ??? Thx and if so could you tell me your application!! of course when you do gel nail on your nails will get hardly but soak off gel can not make your real nail extra strengthener. if you want mix two different gel together you need to make sure each coat dry enough . Thank you .